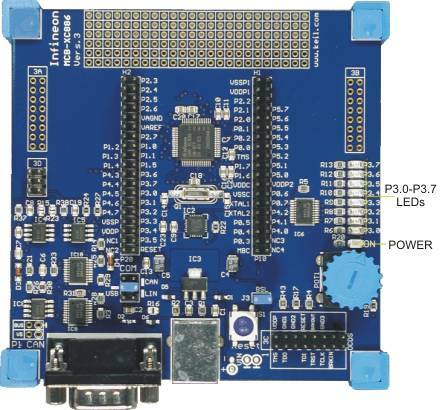 The POWER LED indicate that power is present on the board. P3.0 - P3.7 connect to the Port 3 pins. These LEDs are easy to set and reset during program development to indicate program status.